Jotul is one of the oldest manufacturers of solid fuel burning appliances, producing cast-iron, wood and coal stoves since 1853. 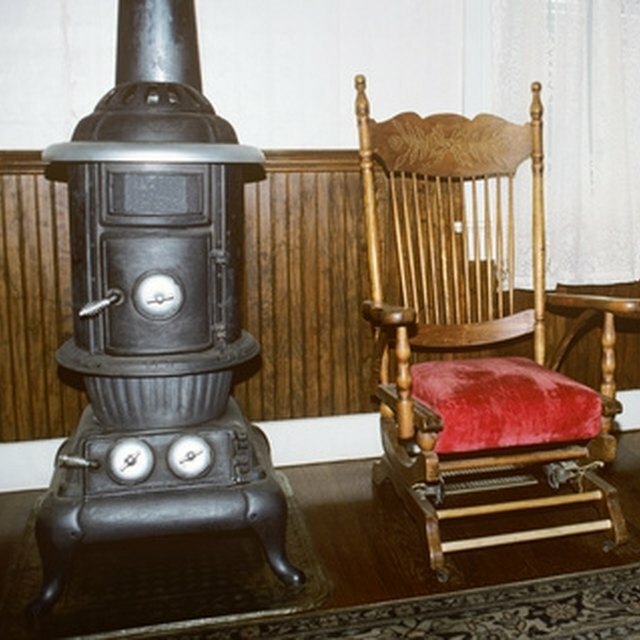 The vintage Jotul 8 Series included four cast-iron, wood-burning heater models. The largest heater is 30.5 inches in height by 26.5 inches. The mid-sized units were constructed in 28-inch or 29-inch heights by 25 inches wide. The smallest unit comes in a 25-inch height by 26.5-inch length. These heaters produce between 26,000 and 33,000 BTU's of heat per hour, and they are still viable and safe furnace units today with proper installation. Each of the four Jotul 8 Series stoves was designed with four legs, a bottom heat shield, an ash and log retainer, an ash lip and a flue outlet. Stove legs should be bolted to a non-combustible floor surface with hex bolts. The Jotul 8 stove should be placed 8 inches from walls on all sides, leaving an 18-inch space in front, between the furnace unit and any furniture. The Jotul 8 wood burning stoves were engineered for proper use with masonry brick, or block, mortar chimneys and residential prefabricated metal chimneys. The Jotul 8 is compatible with prefabricated metal chimneys with a traditional installation through the ceiling and roof, or chimneys that horizontally run out and up along the outside of the building or residence. The temperature of the Jotul 8 Series fireplace surface can exceed 1,000 degrees Fahrenheit, making proper chimney connection critical for safe usage. The chimney connector should be a steel pipe or flue, 6 inches in diameter, with a minimum 24-inch gauge thickness. Aluminum and galvanized steel pipes should never be used as they are not designed to withstand these high temperatures and can produce harmful toxic gases. The Jotul 8 furnace units produce the best results when dry firewood is burned for heat. Damp or wet wood can be used, but it reduces the amount of heat produced. While Jotul produces coal-burning stoves, the Jotul 8 Series was designed for wood. Never burn coal, garbage, cardboard, solvents, treated or painted wood, colored paper or chemicals in the Jotul 8 fireplace. Mollee D. Harper is a writer whose articles span an array of subjects including automobiles, construction, appliances and electronics, with many publications featured on various websites. She holds an Associate of Arts in business administration from Florida Community College of Jacksonville.